"Whenever you're in trouble, just yelp for help!" 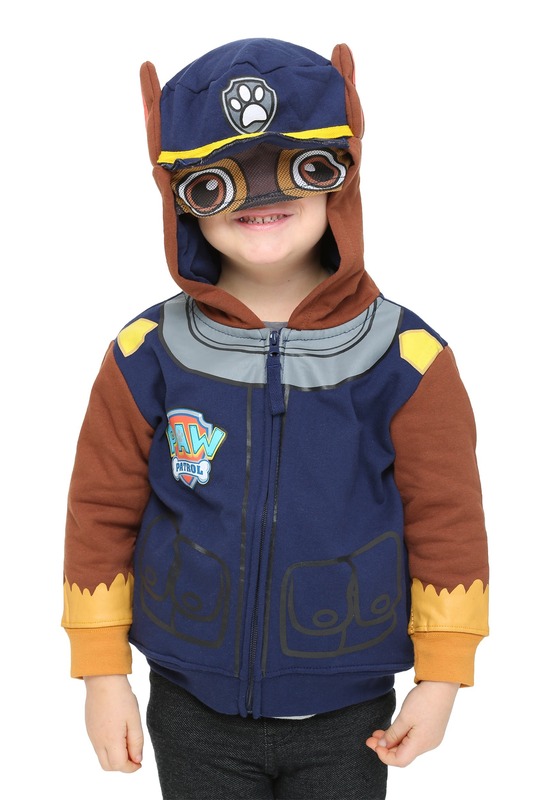 If your child's face lights up the moment he hears that phrase, he might be a fan of the PAW patrol, an incredibly popular Canadian kid's show that airs on Nickelodeon. But there's a lot more to the show than simply Ryder's famous catchphrase. The original idea for the show revolved around a prototype for a transforming truck toy. British television wanted a franchise to be invented, and soon the framework for PAW Patrol had been laid. In order the keep the content of the show fresh and new, more characters and themes are added each season. It's first season was aired in 2013 and they're now working on the fourth and fifth seasons to be released in 2016 and 2017. It has won numerous show awards including a Daytime Emmy and the Parents Choice Foundation Award. But what do the kids think? Well, a quick look at ratings reveal that kids love those pups and their adventures. And if your child is one of them, we're guessing that he'll love this Kid's Chase PAW Patrol Costume Hoodie. Just like Chase, your child will let everyone know what's going on in this stylish 60% cotton 40% polyester blended hoodie. It has a front zipper with Chase's printed theme and logo. 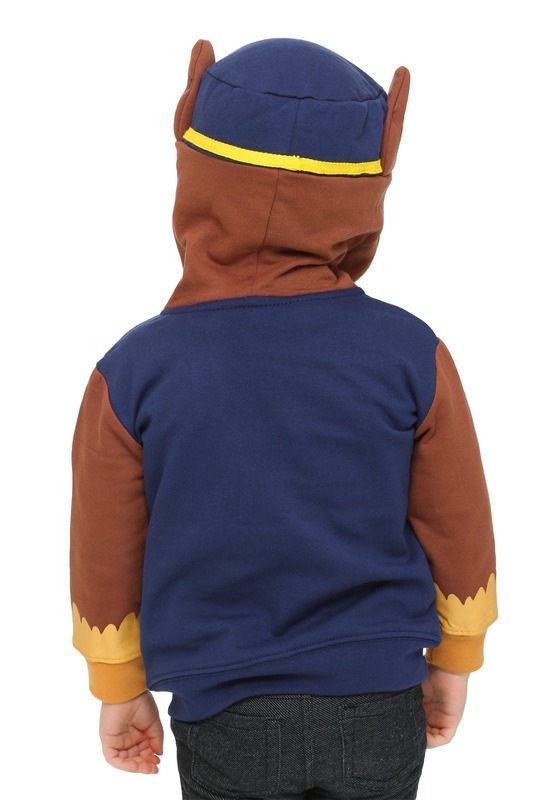 The hood is shaped like a police cap with bill, and a mesh eye mask is attached with soft sculpted ears. 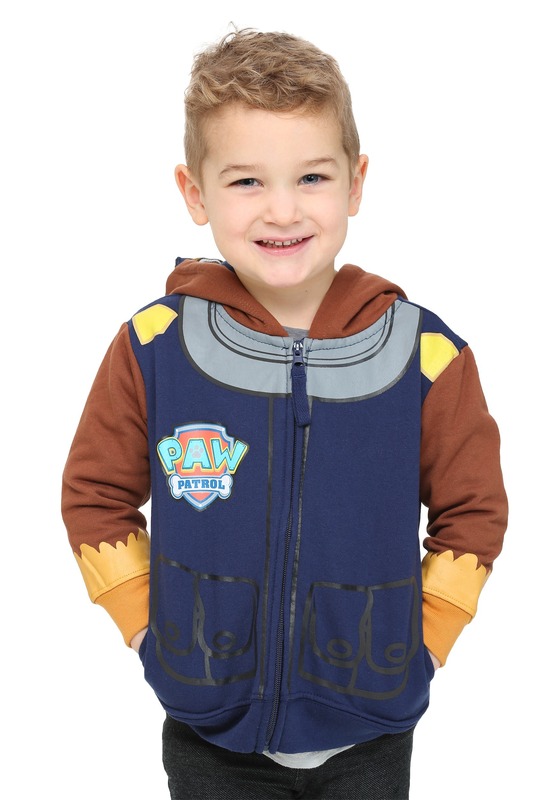 This officially licensed PAW Patrol hoodie makes a great Halloween costume idea!